I am so so excited to partner with Banana Republic today and bring you some of my favorite essentials for your summer wardrobe! I think the key to a successful wardrobe is to invest in a few quality pieces that you can easily mix and match with pieces that are already in your wardrobe. Plus, it’s seriously such a great feeling to have some new go-to pieces each season to give yourself a little mood boost, or is that just me? 😉 Either way you’re going to love my picks and absolutely want them all for all the summer fun you have planned, I just know it! 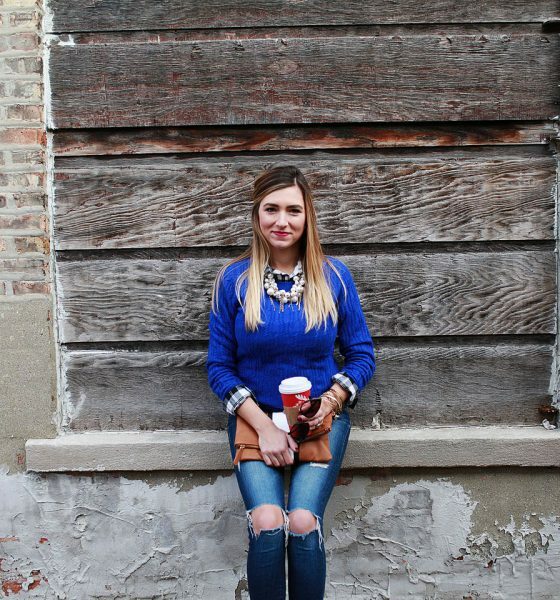 The Perfect Tee– I can not get enough of this tee! Not only is the material so unbelievable soft but the peplum is darling! It comes in 3 other colors and I mighttt just need to go back and get at least one other color. It runs true to size and would be adorable with a pencil skirt for work or skinny jeans and heels for a casual night out! I sized up to a small so I could have a tiny bit more length over the bump but you can’t even tell I’m preggo in this top! #win This is a must have whether you’re pregnant or not and I will be living in it this summer! White Shorts– Just like I always say white jeans are a must in everyone’s wardrobe, so are the perfect pair of white denim rolled shorts. These are so comfortable and will literally go with everything in my wardrobe this summer. They run true to size and you can roll them to the perfect length for you! I have mine rolled generously twice and I think the length is great. These shorts are so ideal for everything from everyday causal looks to a fun night out and were so easy to style three different ways for this post! 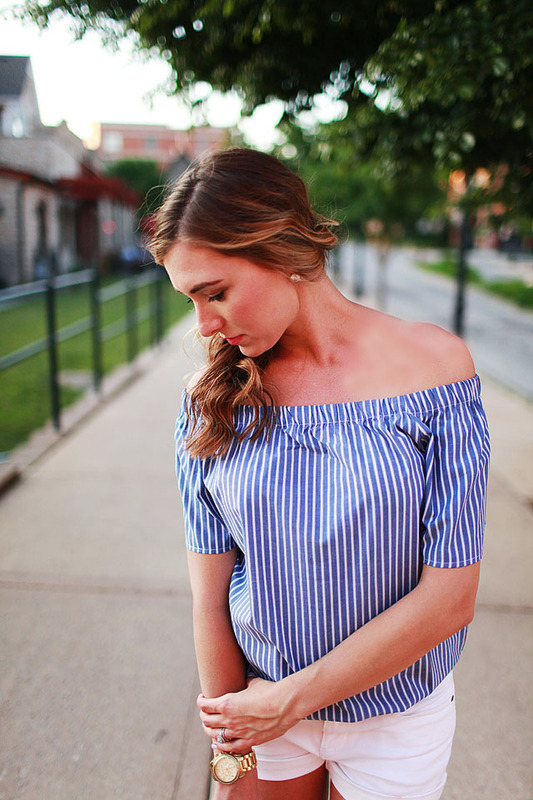 Stripes+Off the Shoulder– You guys! I am OBSESSED with this shirt! Stripes are ALWAYS a must in the summer and combined with the off the shoulder trend right now it’s just too perfect! Off the shoulder shirts are so flattering and perfect for a night out! I love blue and white together in the summer so pairing this top with my white shorts was a no brainer! This shirt does run a little oversized so I tucked it in to loose some of the fabric around the middle. I’m wearing an extra small for reference so I think you could easily size down. It’s cute untucked with skinny jeans (white of course) but for shorts you need to loose a little of the length. How perfect would this top be for the 4th of July? Just saying! 😉 Also the fabric is super lightweight which is so ideal for summer when you’re doing so much outside and don’t want to be roasting! (Tortoise) Shades– Sunglasses are a must have for summer and you all know I love accessories so adding a new pair for the season is a must. I’m sure your go-to pair is all scratched up from the past few months so it’s time to trade them in for something new and this shape I picked out will be perfect! Not too big, not too small and comes in, get this, 7 other colors/patterns besides the tortoise I chose! There’s literally something for everyone! Bonus they offer 100% UV protection which is so great for a fashion accessory! A lot of times you don’t actually get sun protection with your cute shades so that totally sold me on this pair! Everyday Crystal Studs– So you all know by now that I LOVE jewelry and I love when I find a piece that I can wear with everything in my closet and that’s exactly how these adorable studs are! They’re big enough to stand out on their own but won’t take away from whichever necklace you decide to pair with them. Statement studs are absolutely my go-t0 style and I will totally be wearing these all summer during the day and at night! I’m so excited to wear and re-wear these pieces all summer! 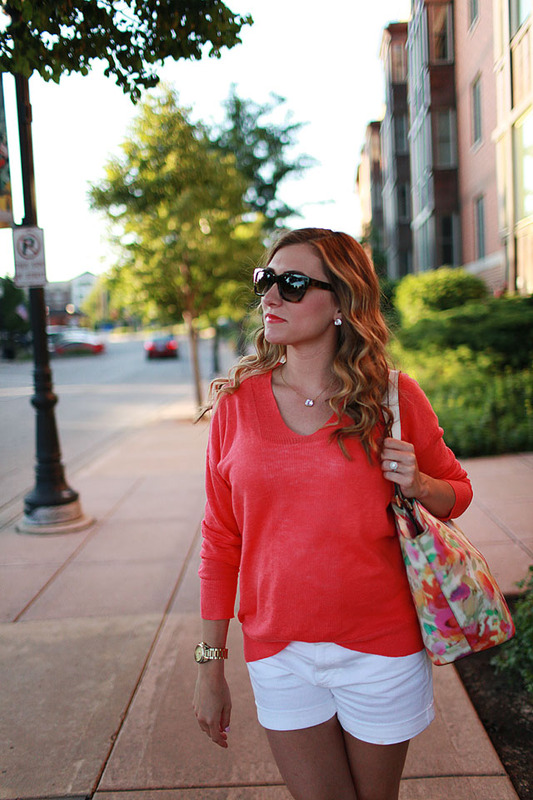 They are the perfect additions to spice up my summer wardrobe without breaking the bank! Plus Banana Republic is offering 30% off this weekend with shop code: BRDAD so you can get my favorite pieces as well as something for the men in your life at great prices!! Don’t forget Father’s Day is June 19! I hope you all have a wonderful weekend and as always, thanks for stopping by! 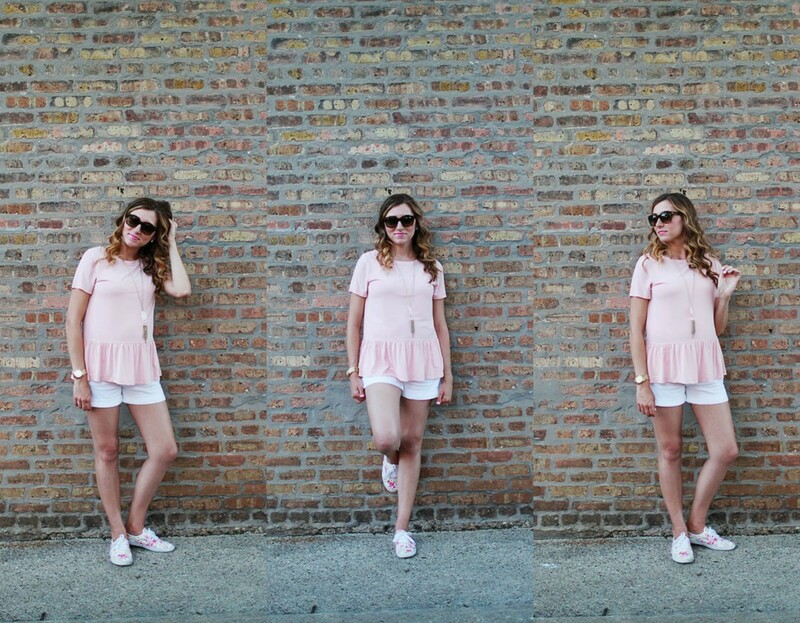 I can’t pick a favorite look, all of these are perfect for summer! So fun that you got to work with Banana Republic!! Thanks so much! You have to check out their summer stuff while you can get it on sale this weekend! So good!! Thanks for stopping by!